Something that suprised me about Elixir’s dependency management tooling: sometimes libraries removed from the manifest hang around in the lockfile. They are fetched and installed, and often never used. We’ve run this a few times on Today I Learned, and always found a stowaway library or two. Today I learned about the ‘diff’ syntax, supported by many syntax highlighting libraries including those used by Github and Today I Learned. A nice use case is a README or pull request description; show instead of tell the changes you made, or someone should make. What is my Tmux Previous Window? In a Tmux session, asterisk (*) is the window in focus. The dash is the previous window, which you can easily return to. From window 0, code, I can return window 1, frontend, using CTRL + bb. A scenario I find myself in frequently: I’ve started a server in a Tmux pane, and realize I don’t need to see the server logging in my ‘home’ Tmux pane (pane 0 for me). To send a Tmux pane to its own window, use :break-pane. A nice addition is the -n flag, which lets you set the new window name while breaking the pane. The last item returned in an IEx session is accessible via the v() function. To get the item, call the function with no argument. This function takes a negative number as an argument, representing n steps back through history. Heading to the internet to get help with a Python function? Slow down! There’s help right in your terminal. On a shared computer, multiple users logged into Hub can lead to confusing Github activity, such as a PR opened from the command line with your name on it that you didn’t open. These credentials are stored in ~/.config/hub. To reset your Hub credentials, delete this file and run a Hub command, and you will get an opportunity to reautheniticate. Part of my Gmail workflow includes hotkeys. I’d recommend them to anyone who wants to use their email more efficiently. My current favorite command is gio, or gi (show inbox), combined with o (open focused message), which defaults to the newest message. gio lets me open my newest email without a mouse, faster than you can say ‘unsubscribe’. The caffeinate command on OSX can simulate a user interacting with the system, waking it up. Here’s how you’d wake up a computer and continue the simulated activity for two seconds. For more info, see man caffeinate on a Mac. An escript is an executable that can be invoked from the command line. An escript can run on any machine that has Erlang/OTP installed and by default does not require Elixir to be installed, as Elixir is embedded as part of the escript. Yesterday I built a CLI that reads an input file, does some calculations, and prints a result. For me, CLI’s are often the mark of a fully-realized project, and I appreciate how the Elixir community treats CLI’s as a first-class idea. CircleCI maintains a collection of Docker containers, pre-installed with different languages and tools. These include language image variants that can eliminate a lot of CI setup churn. I recently used the -browsers variant, which ships with Chrome, Firefox, Java 8, and Geckodriver. Here’s how you could use such a container. Have you ever seen a directory containing a single .gitkeep? Today I learned the history of that file. Git won’t let us add an empty directory, but sometimes there’s a good reason to want to do that. For instance, I’m building a single-page app that requireds a src/data/ directory, even when there’s no data. Instead of each developer on the project making this directory by hand, I’d like to check it into version control. There are two competing strategies to achieve this: adding a .gitkeep to the directory, or adding a .gitignore. I prefer .gitkeep because the name tells you what it does and it’s not conventionally used for another purpose. Iterating through a process of building many static Gatsby.js pages at once, I discovered a hacky way to see what pages have been built. 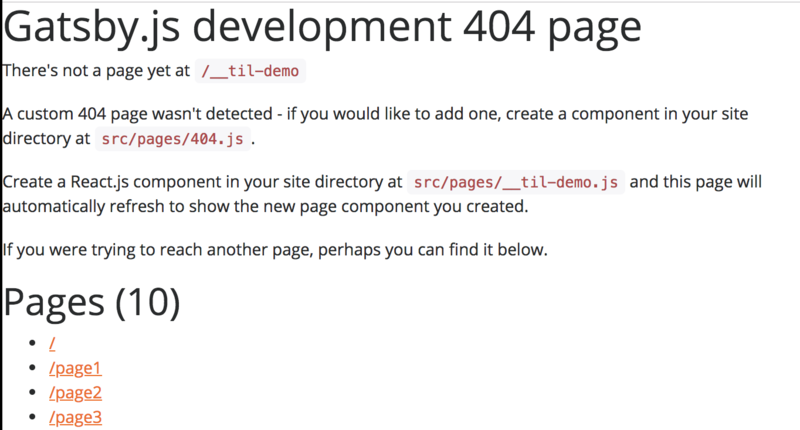 Visit a page that doesn’t exist, and Gatsy’s development 404 page will provide a sitemap with links to all the static pages. It’s a little nicer than digging through the filesystem. I discovered this on an event booking website: the event description links were not anchor tags, and the content on the page was not selectable. If you’re going to disable default behavior on a website, you need to have a good reason. My assumption (which could be wrong) is that the site creators don’t want me to select text on the page and start searching around for a better deal. I don’t think that’s a good enough reason, because there are plenty of cases where a user might copy text on a page that don’t hurt (or actually support) the event organizer’s business. The border-collapse property sets whether cells inside a table have shared or separate borders. The border-spacing property sets the distance between the borders of adjacent table cells, when border-collapse is set to separate. I like Gists, those fun-size Git repositories I fill with coding demos, scripts, and WIP markdown files. Today I learned you can edit these files locally and push them to a remote, just like any Git repo. Make changes, commit, and push away. Your commits will show up under the /revisions tab of your Gist. Have some Ruby code you want to run as the Rails console loads? Here’s a technique. In this example, I’m going to use a function from the hirb gem. Add the gem to your Gemfile and bundle. Next, pass a block to console in your application configuration. The next time you start the Rails console, Hirb.enable will run after load. Today I learned about the CSS outline property. Outlines are like borders, except they never take up space, because they’re drawn outside of an element’s content. Some browsers have a default outline style for interactive elements (like buttons) on focus. This was how I came to learn about the property, because that style clashed visually with an element I was building. Note that if an element can be interacted with, a11y best practices require a visible focus indicator. Provide obvious focus styling if the default focus style is removed. We’ve been using Zoom for a while now, and it’s proving to be an excellent video conferencing tool. One setting I recommend enabling is ‘Always mute microphone when joining meeting’, under the ‘Audio’ settings. I’ve been using it for a week and love it. Pausing work in an open office to join a conference call can be a messy affair, and this setting helps me control how I enter the conversation (silently). Sometimes, after a long day of coding, I resize a Tmux pane using my mouse instead of my keyboard. It’s a habit from my GUI-informed past. Here’s how to accomplish this without a mouse. A Vim motion I’ve really been loving lately is '' or ``, which returns you to the previous jump position. It references the previous jump, so using it twice in a row will toggle you back and forth between two locations. I use this a lot after jumping to the next occurance of a word with *, and then changing that word in some way so I can’t return with *. If you’re using normal mode most of the time, this command can help you walk back through your thought process. As you add more destructured variables pulled from props, the object you’re referencing stays the same. While a little more verbose, I still think this makes for more maintainable destructuring long-term. When I live code, or share terminal commands in a demonstration, I don’t want my customized terminal prompt included in that information. It’s noisy. Right now I’m changing this in Z Shell via that PROMPT variable. Go caches test results, and this can be a problem if you have flickers, are benchmarking your tests, or just want to run all the tests every time. I often use diffs in Vim to compare my current file with the previous Git commit. vim-fugitive is one way to do this, via commands like :Gdiff or :Gvdiff (vertical option). From this diff state, we can restore the code from one pane to the other using the command :diffput. This is useful for restoring one line, or a range, from the previous commit to my working copy. Lately I’ve been taking screenshots of code and my terminal. They seem to look the best when they’re square; that shape translates better to a variety of project management tools and social media platforms. Mac Preview lets you select part of an image down to the pixel for cropping, and I have found selecting a perfect square very difficult. The solution? Select with SHIFT + click to force a square-shaped selection. ⌘ + K to crop. At the time of this writing, create-react-app requires that all dependencies are precompiled to ES5. If they aren’t, the build will abort. When this happened to me today, I followed a few of the recommended workarounds, eventually switching to a library that uses the older ECMA standard. Running $ yarn build-js (or equivalent) when testing out any dependency would be a good way to surface this incompatibility upfront. 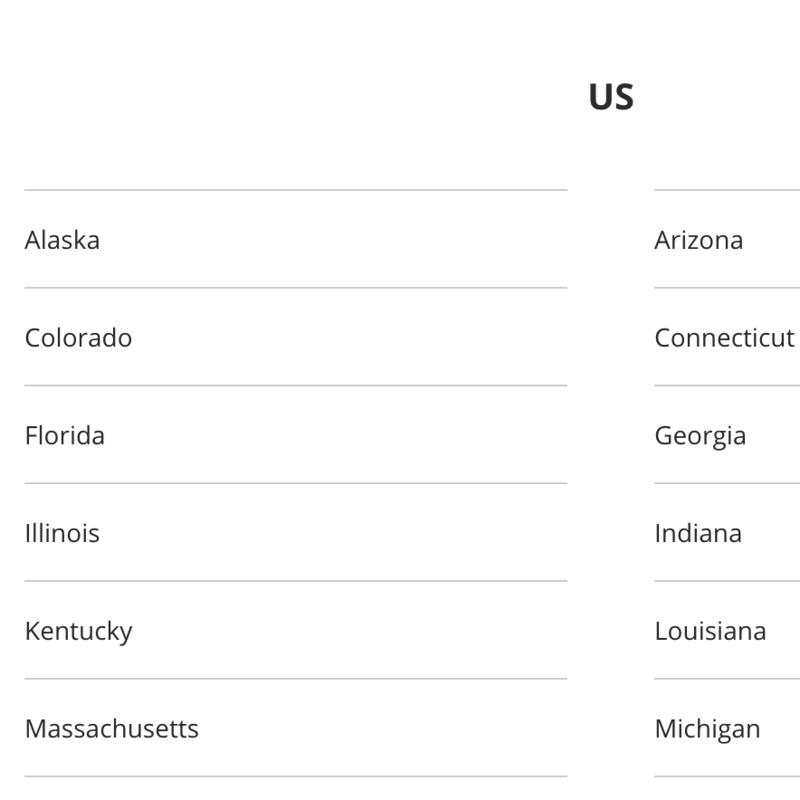 Here’s the Github issue on zipcodes-perogi where I documented my journey to this discovery. I’ve been loving my first forays into Cypress integration testing. It feels really well made. Today I learned how to create a custom Cypress command. Logging into the application is a classic use-case: I need to do it in almost every test, and I’d like a function that accepts arguments and centralizes the DOM manipulation. Today I solved several nagging inefficiencies in my Vim setup. One was memorizing a mapping for traversing Git conflict markers. Deciding what to keep can be a process, and Vim-Unimpaired makes it easier by providing mappings to jump between the markers— ]n for the next marker, [n for the previous marker. Use these to traverse the diff and learn about what might be gained or lost during resolution. \watch [ seconds ] Repeatedly execute the current query buffer (like \g) until interrupted or the query fails. Wait the specified number of seconds (default 2) between executions. What’s going on here? This is truthy because the | has a low precedence. It’s evaluated last, after other characters like () and ?. To put this Regex into words (I think): “does this string match anything before the pipe (including the start of line character), or anything after the pipe (including the end of line character)?”. The expression matches on ^hello and ignores anything after that. Bottom line: when using the pipe the way I’ve described, use parentheses. Sometimes you might need to log into a Windows machine without a keyboard. A damaged keyboard, non-functioning ports for connecting an external keyboard, or a faulty keyboard driver could put you in this predicament. 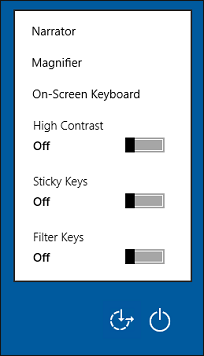 Windows 10 includes an accessibility menu called ‘Ease of Access’, located in the lower righthand corner of the screen. This menu includes an on-screen keyboard. Use it to log in when your keyboard doesn’t work. Today I learned a new Git command that’s really useful. git merge --squash takes all the changes from one branch and stages them on top of another branch, ready to be summarized. This is a fast way to boil down a lot of WIP commits from a feature branch into a single commit on master. Yanking (unpublishing) a Ruby gem is something that has to happen from time to time. Maybe your library has a known vulnerability. Maybe you pushed a gem by mistake. Sometimes the best code is no code. What are the side effects? If somebody was locked to your exact version, they would not be able to download that package again and would have to upgrade or downgrade. Consider that when deciding whether to yank. When iterating on a test, I want to run just that test. This is a bit tricky with Jest, but it can be done. Today I defined PropTypes in a way I hadn’t before: an array of objects with a defined shape. Report the number of matches, do not actually substitute. 1 < 5 < 10 -- is this true? It’s a wordier that the previous examples, but I think keeping the variable in the middle of the condition stays true to the interval comparison idea. Reuse this helper anytime you need to collect an address. Need more information? Add verbose, which will also display where it was last set. Now we know which modes support gcc (normal, plus operator-pending, normal, and ex-mode as gc), what happens when the command is used, and who set it last. Hit tab to see the expanded command. Today I wrote a staging and production deploy script for Tilex, learning about System.cmd/3 along the way. The first argument to this function is the command, the second are arguments, and the third are options.